In the Bag. With the holiday season upon us, the Rigger’s Tool Bag is a great gift for gardeners. A garden-worthy carry-all borrowed from the nautical world. For centuries, seaman have ventured out onto vast waters with tools used to maintain and repair the sail rigging apparatus on their boats, ships and yachts. These implements were often carried in hard-wearing bags that could stand up to the harsh elements of the open sea. 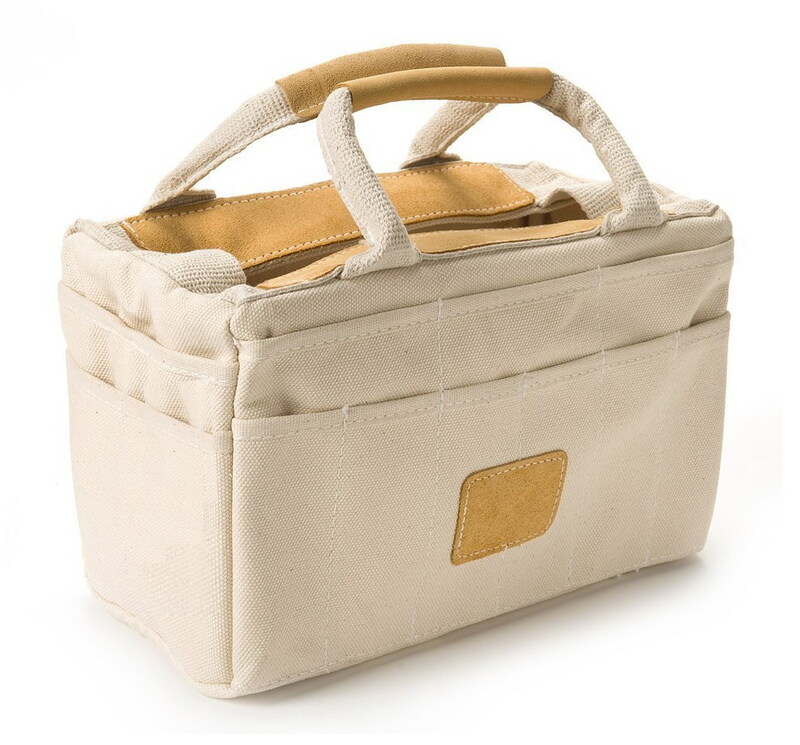 Constructed of durable canvas reinforced with leather trim, this Classic Riggers Bag beautifully doubles as a go-to garden tote, with a spacious main compartment and 24 built-in pockets to keep small tools and other gardening essentials at hand. Best of all, its modest price tag and online availability makes it perfect for holiday shoppers on a budget looking to avoid Black Friday crowds. $22.75; forestry-suppliers.com. This entry was posted in Garden Gear, Uncategorized and tagged garden bag, garden supplies bag, garden tool bag, garden tote, gardening bag, gardening tool bag. Bookmark the permalink.